Keeps divers active - Active divers buy more !! Keep all of your diving customers, abreast of offers and activities happenning at your dive center. Feed them with promotions, activity schedules, course timetables, equipment special offers, new equipmnet now in stock and general news of whats been happenning and is available for them to enroll onto or purchase in the next month or quarter. The ability to send a regular newsletter provides you with the conduit and opportunity to keep your divers informed and active. No need to spend hours trying to figure out how to build a template, you can choose from our array of prepared, customizable, content rich templates. Insert your news and desired graphics you are ready to send. The EVE Newsletter Generator, is powered by EVE's Mail Agent which manages your distribution from within EVE. No need to compile lists and data sort and fiddle about with email addresses. EVE prepares your list ready for sending, its a quick and easy process. You receive upto 10,000 mailouts for free each month - far more than most dive centres require. Well now, you can do away with your existing service and do it all using EVE. 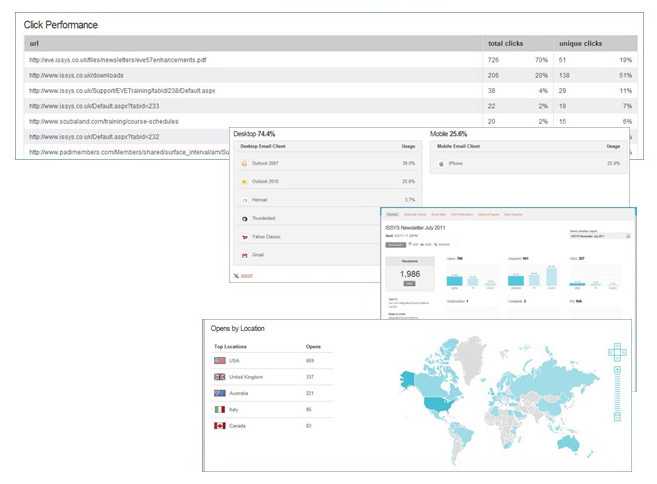 Simply use EVE's Customer Search Wizard that you're already familiar with and use the new Export to Newsletter option to automatically upload your search results to the Newsletter engine. EVE's Mail ditribution server, will take it from there and send out your emails. Bounced emails (i.e. those that cannot be delivered) will be automatically handled. You'll be notified about them back in EVE so you can resolve the problem - maybe the email address was mis-spelled. If one of your recipients wants to Unsubscribe from your Newsletter, that is all taken care of automatically as well. They will automatically be added to the Unsubscribers list in EVE without you needing to lift a finger. We'll provide you with some Newsletter templates to choose from and you can add your own content to them. 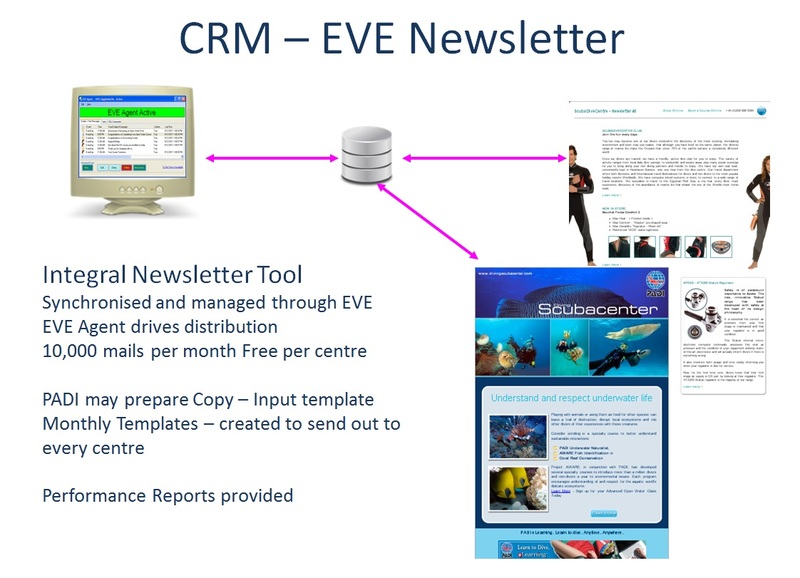 If you use EVE Website Templates it is a simple matter to add most of your Newsletter content to your web site and then provide links from your e-Newsletter to pages on the site - you know, the way PADI's Surface Interval works.